I'm gearing up for a nervous breakdown. It's not here yet but I expect it to hit in about a week and it will probably require more than chocolate desserts to deal with. 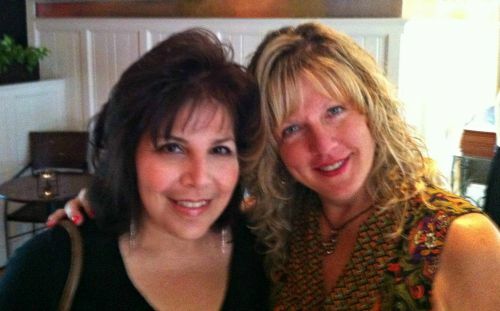 My best friend, Denise, is moving away. We've been together most of our lives, been through many of our "firsts" together, every joy, every broken heart, crushing disappointments and soaring achievements. And I don't know how to do without her. And don't tell me she's just a phone call or plane ride away because it's not the same. I know I have been fortunate. They say if you can find one true friend in your life then you are very blessed. Not only did I find one but I found her early in life so I have been doubly blessed. And I know she is looking forward to an easier, happier life in her new home, a situation I would never deny her. And so I've cheered and supported her this past year while she planned it but now I'm going to be selfish and wallow in self-pity. And chocolate. When she and I were in college, we'd sometimes take a weekend road trip to Keene, New Hampshire. Not exactly a party town but a nice relaxing weekend of antique store shopping and girl time. Lunch was always at a restaurant called Henry David's in town. We'd share an order of cheese fondue and their Mississippi mud pie for dessert. It got so we'd start talking about that mud pie for weeks after and plan our next trip for a taste of it. All of this was a long time ago and, sadly, Henry David's has since closed. So, when Denise and her husband, Craig, came over for a farewell dinner this weekend, I knew I had to try to recreate that dessert. 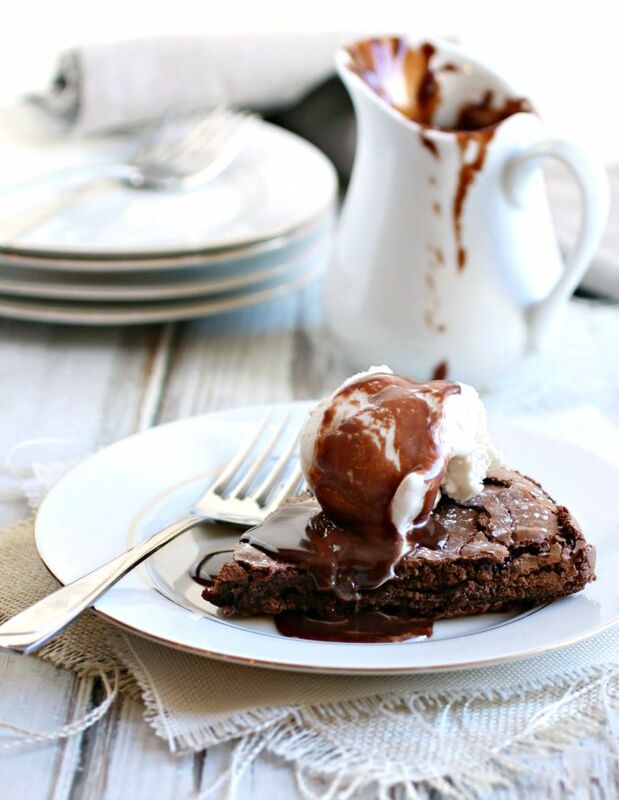 We both remember it as a big slice of warm brownie pie, topped with a generous scoop of vanilla ice cream and plenty of hot fudge sauce. Maybe not exactly a traditional mud pie but, who cares. It was our mud pie and it was, and still is, delicious. Enjoy! 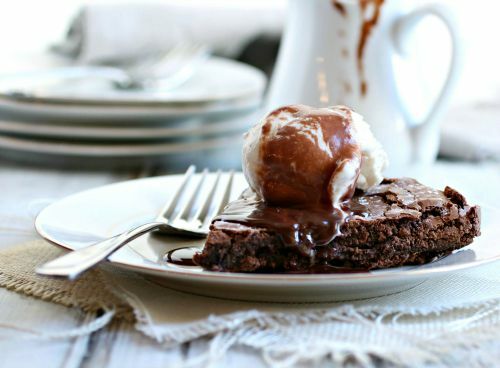 Make the brownie pie by melting the butter over a double boiler or in a bowl set over simmering water (don't let the bottom of the bowl touch the water). Stir in the chocolate until completely dissolved and set aside to cool for a few minutes. In a large bowl, beat together the eggs, sugar and vanilla. In a separate bowl, sift together the flour, baking powder and salt. Stir the dry ingredients into the wet just until combined. Pour the batter into an 8" pie plate or, ideally, a tart pan with a removable bottom. Bake for 35 minutes. Make the sauce by combining the cream, sugar, butter, chocolate and salt in a pot on low heat. 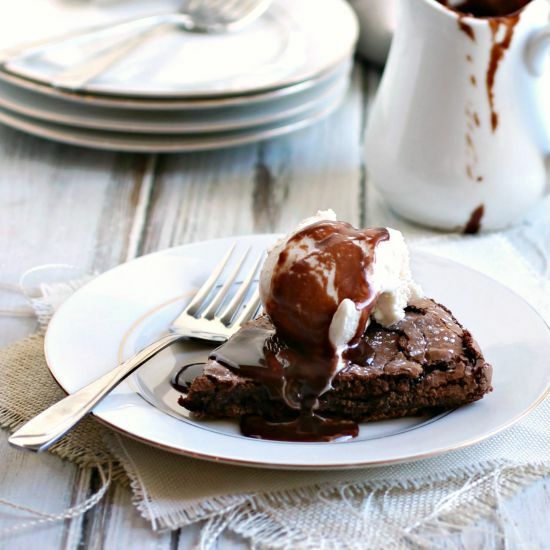 Stir until dissolved and serve warm over the brownie pie and a scoop of ice cream. I know how much this loss means to you, Anita, especially after this last year or so. It isn't the same, not being in the same place but a friendship like yours will transcend distance and time zones. 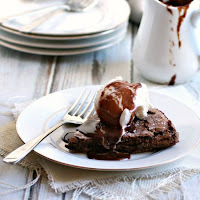 Your Mississippi Mud Pie looks fabulous! Wish I could share a slice with you someday too. Ah....my heart goes out to you. The image of that pie is fabulous as well. Hugs to you, my friend. This is such a touching tribute to Denise, and I can feel the friendship love come right through my screen. My two closest friends no longer live near me, so we make do with phone calls, Skype, and occasional visits. True friendships are definitely worth it, but it's very hard. 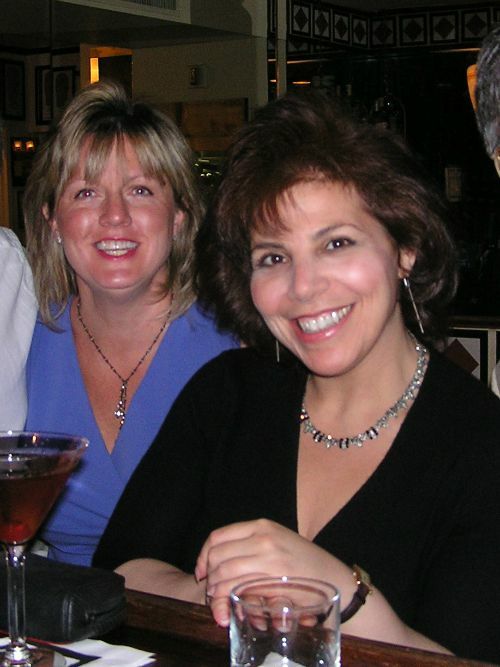 We also have girl's weekends once a year or so, like you and Denise. But they've never involved mud pie. We are doing it wrong, apparently! Chocolate does make things better at least in the short term. Sending you my best.